I promised you brand new content on “Dishonored,” and will not disappoint. This is the first of TWO new features drawing on the game, as well as on its DLC. I want to show you that a simple question that you can ask in novels and films — “what if we saw these events from someone else’s perspective?” — very deeply does not make sense in the case of video games. 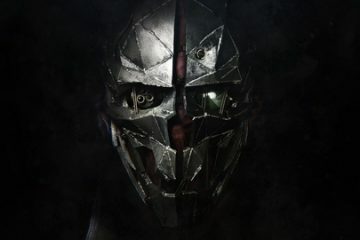 Come along, friends — “Dishonored” has met With a Terrible Fate. A trivial observation when first experiencing the medium of video games is that the player, by virtue of the game system’s controller, is actually able to exert a measure of control within the game. Less trivial is actually pinning down an analysis of this control, and determining precisely how, if at all, this control impacts the narrative dynamics of the game. In previous papers, I have argued that such a measure of control – what I typically term ‘player agency’ – allows video games to tell unique narratives by stipulating an agent external to the game’s universe (i.e., the aesthete). However, a precise analysis of what this agency is has yet to be put forward. In this paper, I present an analysis of the causal relationship between player and avatar, which I use to argue that video games tell stories that cannot be logically re-focalized on different characters in the way that the narratives of other media can. I begin by rearticulating my model of narrative three-space as a formalization of first-person role-playing games (hereafter merely “video games”). Then, using this model, I derive an analysis of characters in the game that the player does not control, commonly referred to as ‘non-player characters’ (hereafter ‘NPCs’). With this analysis at hand, I show that the narrative of a video game cannot, by the conceit of the medium, relocate player agency to an NPC and tell a narrative identical on the level of mere events (what Mieke Bal, on whose narratology I shall lean, refers to as the level of ‘fabula’). I show this first by means of a logical argument, then by an example of the video game “Dishonored” (Bethesda, 2012). Lastly, I point to areas of inquiry left offstage in this paper, which may serve as fruitful next steps in research and analysis. My familiar approach to video game narratology is to describe game stories in a three-space where the z-axis maps the main plot and the (x, y) plane maps the exploratory domain. However, for reasons that will become apparent when I begin to contrast avatars from NPCs, the model requires a few points of refinement at this juncture. Semantically, the element that has previously been most conspicuously absent from the formalism is a localization of the avatar (and, by extension, the player) within the game’s narrative. This localization can be defined as a point with coordinates (x, y, z) within the three-space. I will term this point ‘lambda’. Given lambda, we can more precisely make sense of both vectors and video game fabula. Vectors are three-place transformations of lambda, which always have a positive z value. ‘Playing the game’ amounts to the player selecting and applying, from the collection of such vectors available at the current location of lambda in the three-space, a single vector by which to move lambda. This allows us to differentiate the fabula of a given playthrough of a video game from the game’s total narrative three-space in the following way: call an event some combination of actors and actions, which exist within the context of space and time. Particular three-place coordinates represent all such events in the three-space; thus, if a single event can be reached at multiple points in the narrative, then it follows that it obtains at more than one point in the three-space. After the initial conditions of the story at the three-space’s origin, Event Alpha obtains in the fabula just in case some vector which the player applies to lambda relocates lambda from a point at which Alpha does not obtain, to a point at which it does. The preceding can be graphically represented has depicted below, in which a single arbitrary fabula is described within a narrative three-space. Note that the definition of events presented above is important because it allows us to differentiate between all possible events extant within the narrative three-space and those particular events which constitute the realize fabula of a given playthrough, represented by the path which lambda follows from the origin to zmax­. Given this new iteration of the narrative formalization, the immediate strategy is to demonstrate that the causal relationship between player and avatar cannot be coherently transferred to a different character – i.e., an NPC – in the same way that the story in a film or novel can. I see the easiest way forward in this regard as a functional analysis of what an NPC precisely is; from there, I will show that it falls out of the analysis that the agency of the player cannot be displaced while retaining a narrative three-space that in any way resembles the original game. In Bal’s Narratology (University of Toronto Press, 2009), she stresses that “a character is a complex semantic unit,” which “has no real psyche, personality, or competence to act, but [which] does possess characteristics that make the reader assume it does” (113). In principle, my analysis will agree with Bal that characters are complex semantic units – in a formal, structural analysis, which Bal actually wants in large part to sidestep, this stipulation is trivial. However, I think that we have license in the domain of video games to more explicitly articulate what Bal refers to as “competence to act”: in particular, this describes the mode of narrative agency which I have been attributing to the player, and this is where the distinction between avatar and NPC is most tractable. I have said that an NPC is a member of the set of actors within a fabula, and that actors are constitutive of events. Events, I have said, obtain in the fabula of a given playthrough just in case some vector that the player applies to lambda relocates lambda from a point at which the event does not obtain, to a point where it does. This analysis implies that whether or not NPCs obtain in the fabula ought also to be answerable by a functional analysis in terms of lambda – and indeed, I think such an analysis is intuitively available to us. The first matter to deal with is representing a single NPC across multiple events – for although characters are constitutive of events, it seems that the same character can play a role in constituting different events within the narrative three-space. Without pursuing a very rigorous definition of the NPC-event relation, I will define ‘NPC Omega’ as the summation of every instance of an adequately similar character within the narrative three-space. This merely maps a rudimentary model of identification onto the narrative formalism: just as our conception of other people is constructed from all of our encounters with them (direct or indirect), so is the case with NPCs. The difference, falling out of Bal’s stipulation (which I affirm), is the ‘that’s-all’ clause: NPCs, unlike other people as ordinarily conceived, are only constituted by our encounters with them. Given that characters are actors and that actors act, a functional analysis of NPCs requires an account of their actions. Since a single NPC can exist and act differently across multiple events, it seems right to conclude that a single NPC has different actions available to itself. Call the set of such actions – i.e., all the actions taken by NPC Omega throughout the narrative three-space – ‘Set S’. Now we need to determine how NPCs can select a member of S by which to act; for if we consider NPC actions in comparison with the actions of the avatar, we see that only the avatar has the player available as a mechanism for selecting which action to undertake at a given Point Lambda in the narrative. Recall the claim that Event Alpha obtains in the fabula just in case some vector which the player applies to lambda relocates lambda from a point at which Alpha does not obtain, to a point where it does. This claim, I said, does the work of defining what it means for an event to be constitutive of a game’s fabula, as opposed to existing merely as a potential fabula element. I propose that we can best make sense of NPCs’ actions by making an analogous claim: the action taken by an NPC is strictly determined by the actions of the player upon the avatar within the narrative three-space. Put more precisely: the action picked out of S for NPC Omega is the result of some two-place function F(x, y), where ‘x’ is the current position of lambda and ‘y’ is a vector applied to lambda by the player. This is merely a reformulation of the principle that events obtain in the fabula as a result of the avatar’s path through the narrative three-space, applied to the concept of NPCs as acting, complex semantic units. The preceding analysis provides sufficient theoretical machinery to defend a claim for what I call PERSPECTIVAL FIXEDNESS (hereafter, ‘PF’) obtaining in the medium of video games. This concept denotes that the perspective from which a narrative is presented is essential to the nature of the narrative’s fabula. The full logical argument runs as follows. The strategy, in short, shows through the narrative formalization that the deterministic chain of player-on-avatar-on-NPC is rigid within a single fabula, and so that fabula cannot be reconstructed using an NPC as a different avatar. The example of “Dishonored” will further articulate what I mean. A rudimentary reconstruction of “Dishonored” suffices for current purposes. The narrative of the game follow an avatar named Corvo Attano, who, after being framed for the murder of an Empress, must embark on a quest to set things right by neutralizing the true usurpers of the throne. The game is designed around choice and consequence – so, for example, each time Corvo encounters a target whom he must neutralize, he can either assassinate them or dispatch them by some non-lethal means (and this is true from the case of menial guards all the way up to primary targets in the main plot). So, when Corvo encounters the Empress’s assassin, Daud, he has a buffet of options available as to how he can deal with him. Assuming that the player decides to confront and defeat Daud, she will hear him issue a statement of regret, and a request for his life to be spared. The player can then either let Daud leave, or execute him, at her discretion. This instance, note, is consistent with the global choice dynamics of the game. 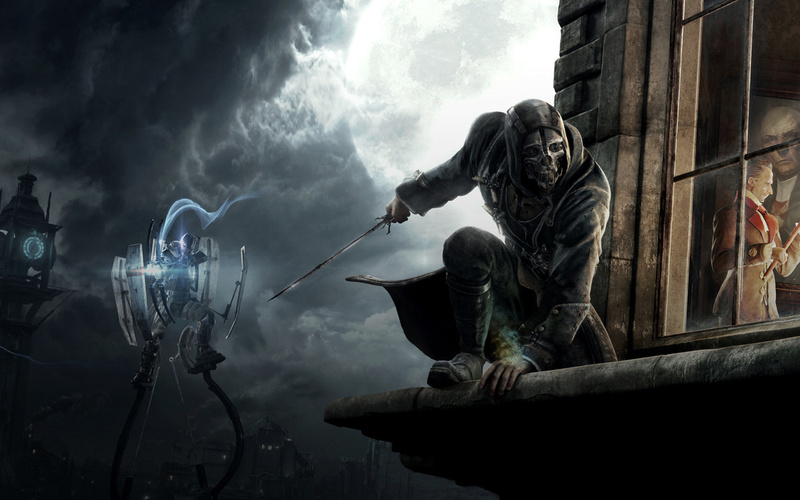 We encounter problems with consistency, however, when we turn our attention to the downloadable content (hereafter ‘DLC’) that accompanies “Dishonored”: “The Knife of Dunwall” and “The Brigmore Witches.” In these supplemental storylines, the player encounters Daud of her avatar, instead of as an NPC. The DLC begins in the moment following Daud’s assassination of the Empress, and concludes at the moment where Corvo chooses whether or not to kill Daud – in other words, its story is intended to co-refer with the story of the main game to a single fabula. The storyline following Daud in these episodes – in which he uncovers and must dismantle a witch coven – works well for the most part because it tells a complete story that never directly intersects or causally relates to the fabula of the main game’s narrative; the most explicit references to the main game’s plot are mere wanted poster’s for Corvo in the scenery of the city, which factor out of any sort of causal analysis relating the main game and DLC. So the preceding issues of converting an NPC to an avatar do not yet come into play because the DLC and main game describe different sets of events within a fabula that is larger than either narrative three-space taken individually. The very last scene of the DLC is what changes its story from totally tractable to incoherent by violation of PF. 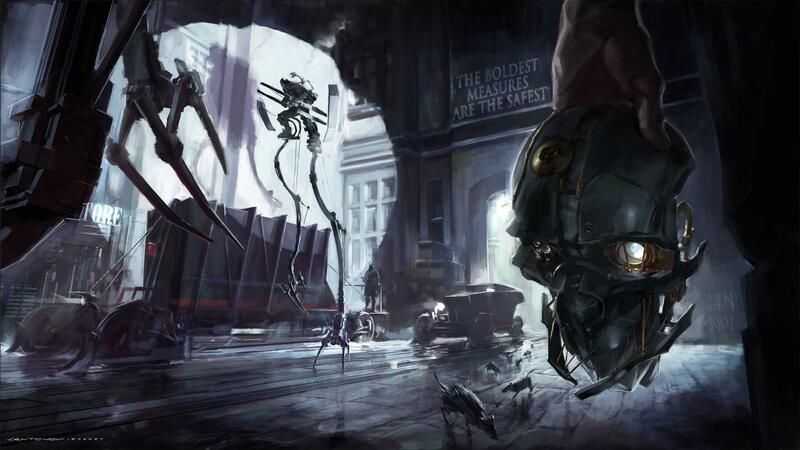 The DLC ends at the moment when, in the main game, the player chooses whether or not Corvo will spare Daud’s life. But of course, in the DLC, the player is Daud, and therefore has no authority over Corvo; yet Corvo must somehow make a choice in order to resolve the event. So the DLC handles the issue by deploying the same choice-consequence system as the main game does: if the player has been violent and chaotic as Daud, then Corvo kills Daud; if the player has been discrete and merciful as Daud, then Corvo spares Daud. We can see immediately that this spells trouble for the DLC’s consistency with the main game; and in light of the formalism, we see that the crux of this trouble is the attempt to relocate player agency from one character (Corvo) to another (Daud) and recount an identical fabula. The problem is that the main game and DLC attempt to co-refer to an event, but the order of the determination chain between the player, Corvo, and Daud is asymmetric when comparing the cases. So although the main game and DLC suggest two modes of presentation for a single fabula, the violation of PF shows us that this cannot logically be the case. The primary aim of this paper has been to refine the formal three-space model of game narrative to the point at which it is equipped to derive and explain PERSPECTIVAL FIXEDNESS. In so doing, I have taken single-player, linear RPGs as the atomic structure of story-based video games. However, it is apparent that not all games conform to so simplistic a structure. In closing, I wish to offer three modes of inquiry that I think will prove particularly useful in further refining the model presented in this paper. Single-player RPGs with a party system. In this work, I have assumed a stark formal contrast between NPC and avatar. This is not always the case. Many RPGs utilize a system in which the player guides a group of characters; typically, this leads to the player being able to choose which character to control at any given time, while the others are controlled by the game as NPCs. This immediately complicates the line between avatar and NPC; spelling out the formal ramifications would further clarify the dynamics in the three-space more generally. Multiplayer games. What is the formal difference between an NPC, and a character controlled by a different player? Given that my work thus far has limited its reach to single-player games, it is not clear how much traction the formalism as such could find here; nevertheless, it seems a necessary step in understanding how video games operate fundamentally as a representational vehicle.  Games with multiple avatars. One might rightly imagine the definitions and relations between such things as “avatars” get more complex when the game offers a choice of avatar – say, for example, different classes in a game like “Dark Souls” (From Software, 2011). It may, perhaps, fall out of the formalism that we are committed in a strong sense to saying that playthroughs of such a game are very deeply different based on mere choice of avatar. To explore, justify, or reject such implications would also be a fruitful goal of research. The relevant Bal that I cite in this paper is Narratology: Introduction to the Theory of Narrative, 3rd ed., University of Toronto Press (2009). This latter fact falls out of the stipulation that the main plots of games are irreversible within a single playthrough. In principle, this may not always be the case, but it seems to be the rule at present. Moreover, the possibility of negative z values in lambda-vectors will not significantly alter the analysis that follows. In keeping with Bal, I am treating actors merely as subjects that perform actions. The set of actors includes all characters in a story, but may also include other members, such as forces of nature. Bal seems to think that formalist description is at odds with a narratological approach that “[restricts the reader’s] investigation to only those facts that are presented to [the reader] in the actual words of the text” and which “produces rewarding surprises, unheard-of possibilities, and innovative social attitudes to emulate” (114). I find the distinction misguided, and fear it ultimately makes a straw man out of formal structural analysis proper. I will not pursue a critique of the distinction any further in the present paper. I put to the side the a procedural analysis of “determining adequate similarity”; for present purposes, mere intuition will suffice to, for instance, identify the Happy Mask Salesman at the beginning of “Legend of Zelda: Majora’s Mask” (Nintendo, 2000) and the Happy Mask Salesman at the end of “Majora’s Mask” as two instances of a single NPC. By virtue of Corvo being the avatar, this is equivalent to saying that the choice of how to execute each task in the game is up to the player. For the uninitiated: DLC is additional content related to a game, usually released by the publisher and available for digital purpose after the release of the main game. DLC typically either provides additional features for the main game (costumes, weapons, environments, etc.) or is itself a smaller storyline that is in some way related to the narrative of the main game.